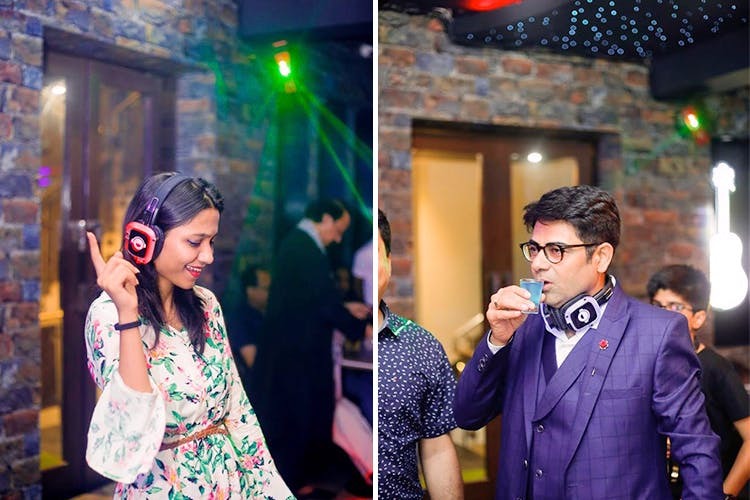 Headphones in Punjabi Bagh lets you put on your own set of headphones, choose your own music whilst munching on some tikkas and chugging potent cocktails. Silent parties FTW! As soon as you enter, you’re handed a set of glowing headphones. You can then choose between three categories: EDM, Sufi or Bollywood. The entire point is to create a silent disco-esque vibe where everyone’s partying and having fun with music taking centre stage. The drinks menu looks ace. We’re loving the sound of the desi Aacharito (gin, achaar, mint and lime), Rhythm (whisky, spiced liqueur, caramel and cinnamon flame) and the Al Habibi Twist (fig-infused rum, red wine and saffron ice). Their food menu’s got a little bit of everything - from pizza, pastas, hummus and pita to tikkas and biryanis. So, variety's definitely taken care of. But we hear it's not something you'll be WOW-ed by.